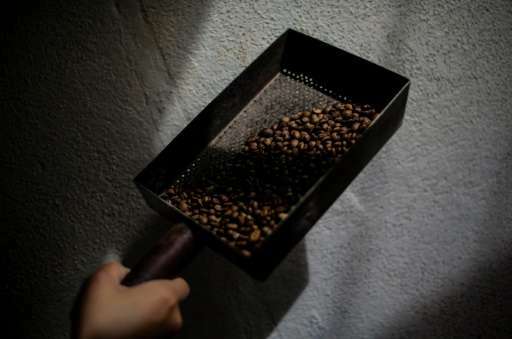 With climate change threatening crops in many parts of the world, Nicaragua is turning to a robust variety of coffee bean to protect one of its key exports. The appropriately named robusta coffee comes from the Coffea canephora plant, which is being increasingly planted in the Central American country under government authorization. The sturdy variety is easier to care for, higher in caffeine, faster to produce fruit and more disease-resistant than the more popular Arabica sort Nicaragua traditionally grows—although it is of lower quality, fetching a lower price. However, its advantages make it better suited to ride out climate change and bring benefits to smaller producers, industry groups say. "Robusta coffee production has proven its profitability through its high productivity, low production costs and high potential," says Luis Chamorro, an executive with the Mercon group, which plans to plant the variety on 7,000 hectares (17,300 acres) it owns on the eastern side of the country. Some producers worry that the new focus on robusta could affect Arabica production and prestige. 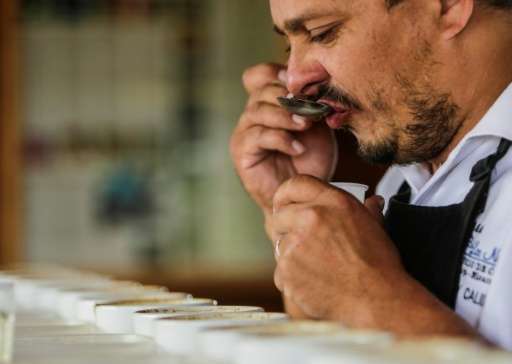 "If we change to a variety that damages our coffee-growing sector and the prestige of quality, that would be an error we shouldn't make and it could cost us dearly," warns Leonel Lopez, a coffee farmer in the northern Nueva Segovia region. 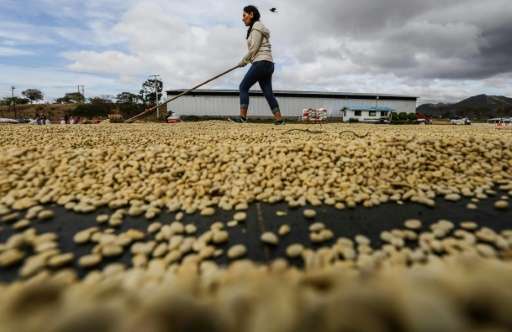 The stakes are high for Nicaragua, a poor country that depends on its coffee sector, which brings in $400 million in export revenues and employs hundreds of thousands of people. However, a lengthy drought over the past two years and a blight that has affected most of the coffee plantations—ruining hundreds of smaller outfits—has prompted the diversification to robusta. More bitter and acidic, the robusta bean is often mixed with other varieties, especially for instant coffee. The government authorized its planting in the eastern lowlands five years ago. Last December, the agriculture ministry decided to expand the order to some fields in the west. To stop robusta coffee plants from invading Arabica-producing fields, they are planted at least 30 kilometers (20 miles) apart. "We believe both varieties can exist alongside each other, as already happens in Brazil and in Vietnam," says Michael Healy, president of the UPANIC farmers' association. The 2016-2017 robusta harvest should yield more than 1,800 tons, Chamorro said. That's around two percent of the total coffee volume produced in the country. coffee grows on mountains. local microclimates change with elevation. if nothing else we'll grow coffee next to the cannabis in California.